Mastership Certification is the third level of certification from the WCLI. Candidates who successfully meet all requirements will have demonstrated an advanced knowledge of lasers and their applications in dentistry. Also, Mastership candidates will have demonstrated complete clinical expertise through case presentations of moderate and complex clinical cases to two examiners. Mastership certification is available at the WCLI Institute Super Symposium annual meeting only. Candidates must complete the required CE hours, submit their CE log, schedule a Mastership Clinical Simulation Exam and Mastership Written Exam, and pay any applicable certification fees at least 14 days prior to the WCLI annual meeting. Earn Fellowship certification and practice for at least twelve months after you earn Fellowship Certification. 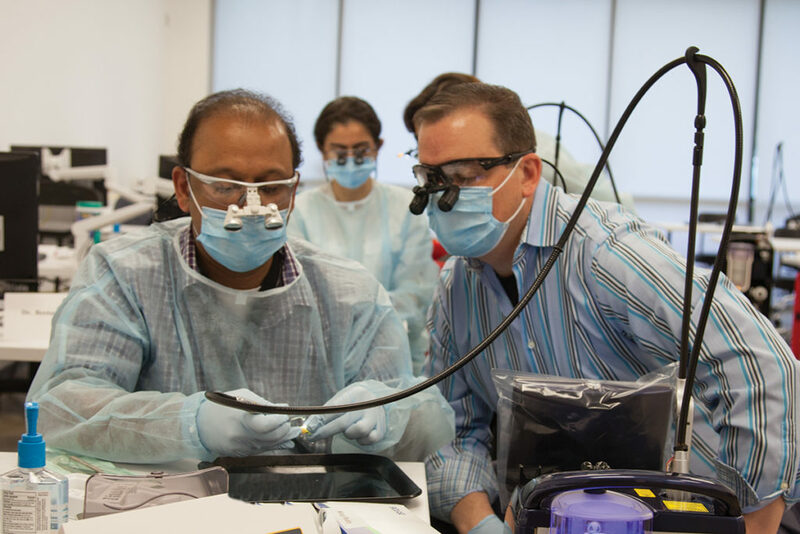 Participate in sixty hours of continuing education related to laser dentistry. This is in addition to any hours earned for Fellowship certification. Use the official CE Log Form to document your continuing education. Pass the Mastership Written Exam with a score of 80% or higher. Pass the Master Clinical Simulation Examination with no prompting or assistance from the examiners. Document and present five clinical cases, including at least three moderate cases, one complex case, and one additional case of any complexity. Pay a certification and processing fee of $495 to the WCLI prior to the Mastership certification process. You may download the Mastership Clinical Simulation Exam checklist, which will be used by the examiner during the Mastership Clinical Simulation Exam. Complex difficulty cases involve multiple soft-tissue/hard-tissue procedures on one site, or procedures conducted on multiple teeth or soft tissue sites with two or more procedures (e.g. desensitization and preparation for composite restoration of a quadrant of cervical lesions or dual wavelength endodontic treatment; for hygienists, document one Class III-IV case). When presenting cases for Mastership certification, the candidate is required to give a PowerPoint of the documented cases to two examiners. The candidate is required to show thorough knowledge of the presented cases and demonstrate accurate diagnosis, treatment plan, accurate and applicable laser settings and parameters, successful treatment outcome and post-operative management.